I wasn’t using this daily because it’s so moisture rich, but on the days my skin was extra parched this saved me. It’s definitely a dry skin savior and it's coming with me on my winter travels! This month I got to try mandelic acid and it turned out to be a great way to clean out my pores. If you’re looking to try a new AHA then you should check this out. Following Korean makeup trend, pink is used a lot in base makeup to brighten the complexion for a youthful glow. I wanted to try it out so this YSL CC Primer has been my partner in crime when I need a pick me up. I only apply it to the high points of my face and you can see a noticeable difference with and without it. If you’ve been reading my previous posts, you’ll notice the false lashes I’ve been using were by House of Lashes. I used Iconic Lite for my headshot post and Allura Lite for my Halloween post. To be honest they are quite dramatic when you see them in person, but on camera they look perfect. I’ve also got the mini versions of them to test out so I’ll be seeing how wearable those are. Oh. My. God. This is my perfect beanie! 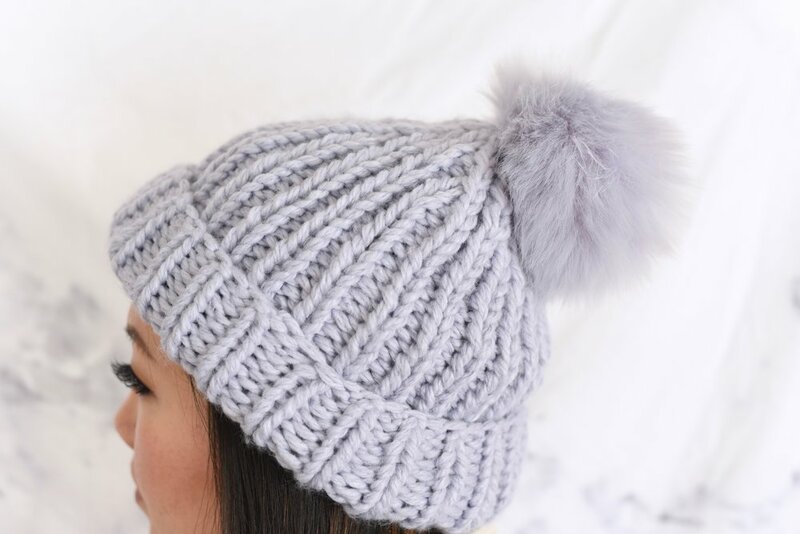 It may be the little girl in me, but I love pom pom beanies!! And the fact that this is a bright lavender shade is even more amazing! I can’t wait to wear it this winter and you’ll definitely be seeing plenty of it in my upcoming travels! This series is about a love between man and mermaid that transcends time and universes. It's a little trippy when you think about it, but it's interesting! I started watching this series when it first came out on Viki, but lost interest after the first 2 episodes. I revisited last month and got hooked! It really picks up after a couple episodes in and you see more character development, personality, story line etc. Jun Ji Hyun was so hilarious in this and it also helps she's so pretty! I loved her character and she made the show so enjoyable to watch. Imagine your ex-boyfriend was a comic writer/illustrator and he became incredibly successful after creating a comic based on all his ex-girlfriends... and you're one of the main characters. Yeah, this show is so comical. It's really light-hearted and a great show to watch when you just want an easy night. Where Did All the Good Dermatologists Go?